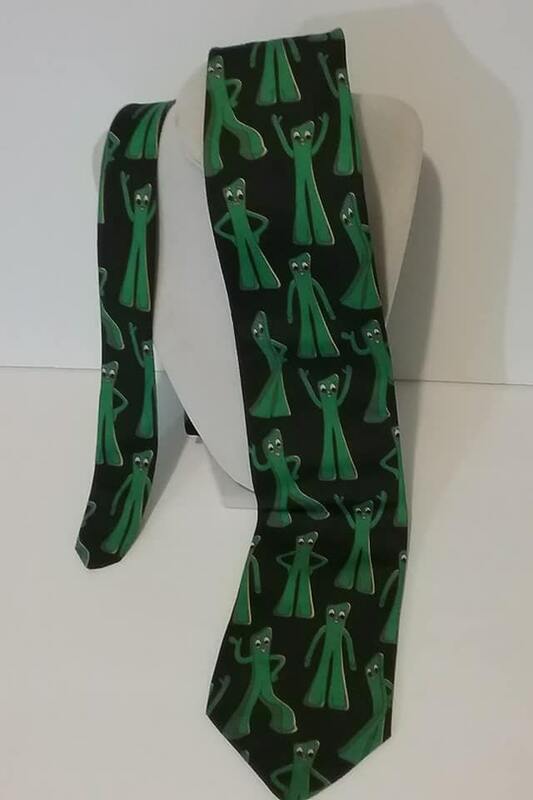 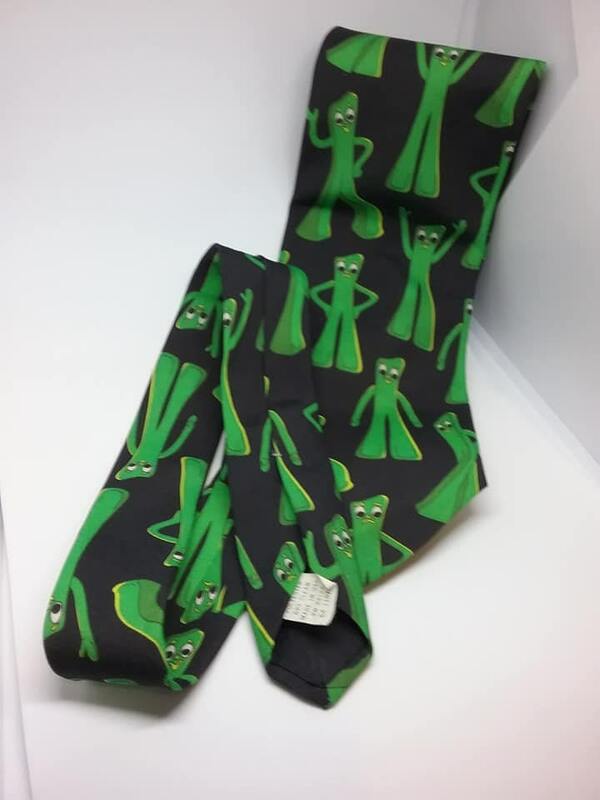 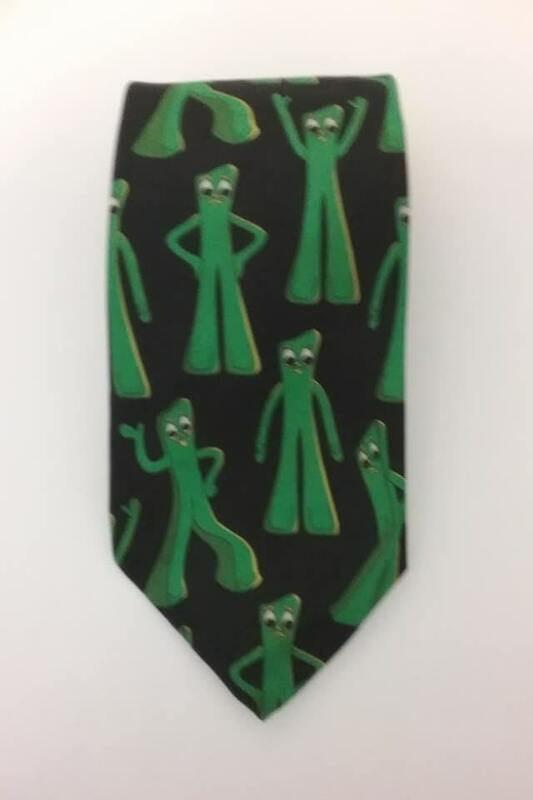 Men's necktie with Gumby theme. 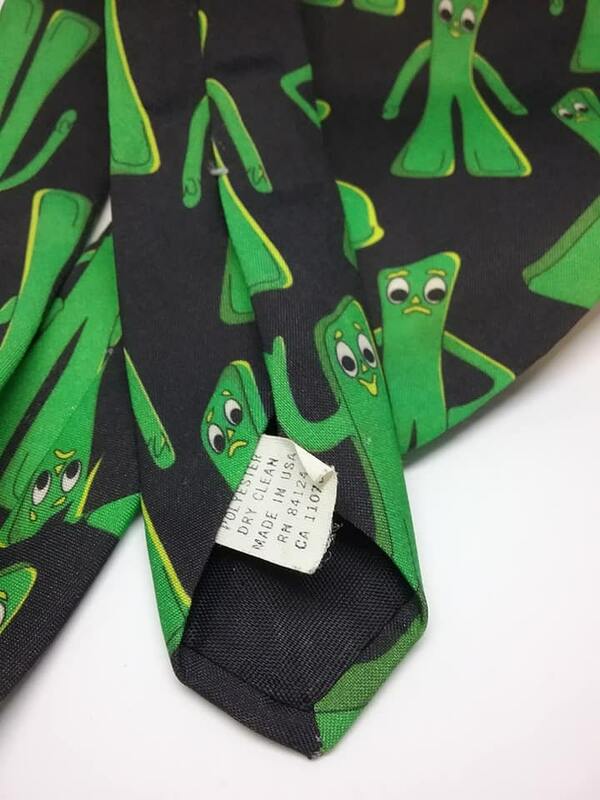 Tags 1995 Prema Toy Co.,Inc. 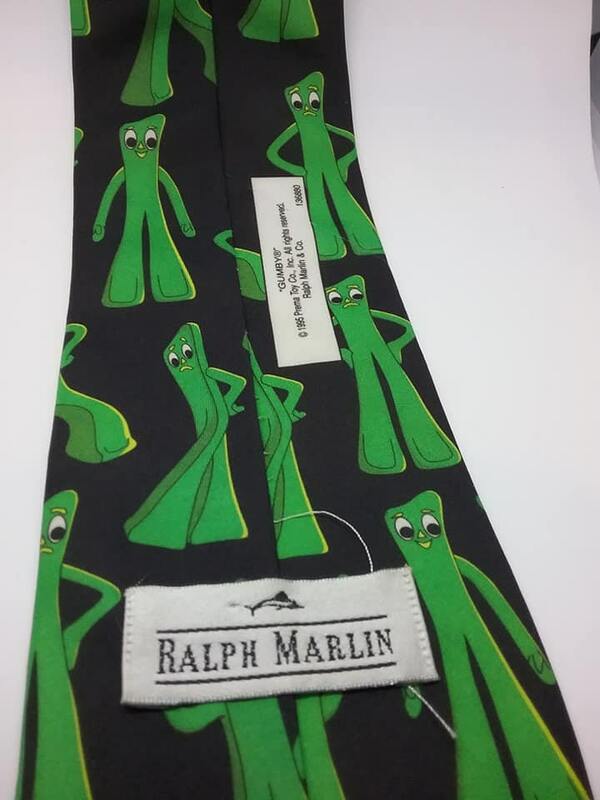 Official Ralph Marlin &Co tag. 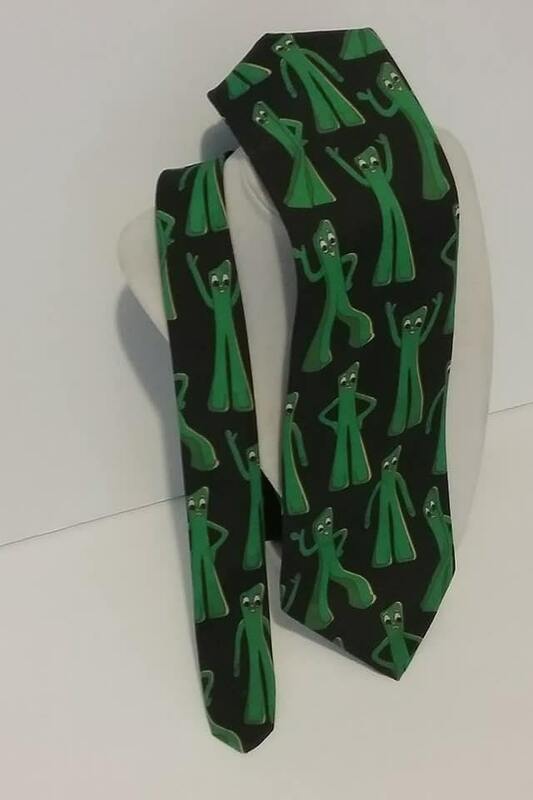 Polyester, Made in USA. 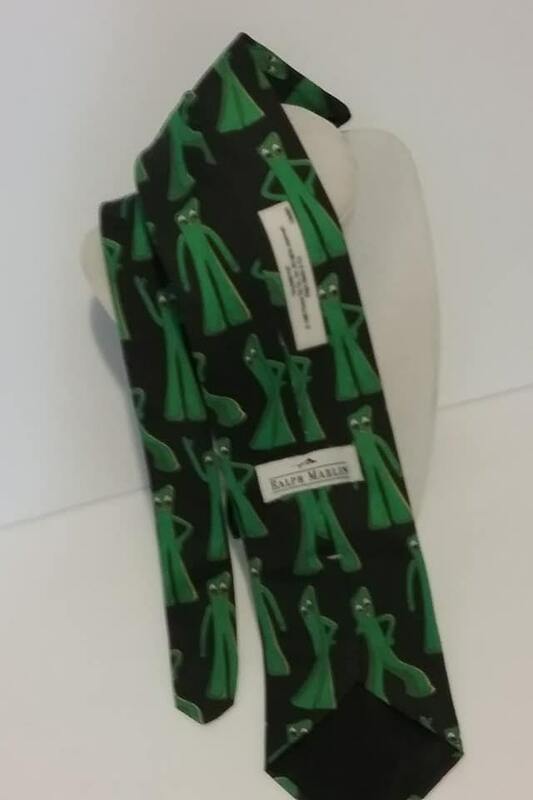 Widest part is 3.5" across, smallest end is 1.5". 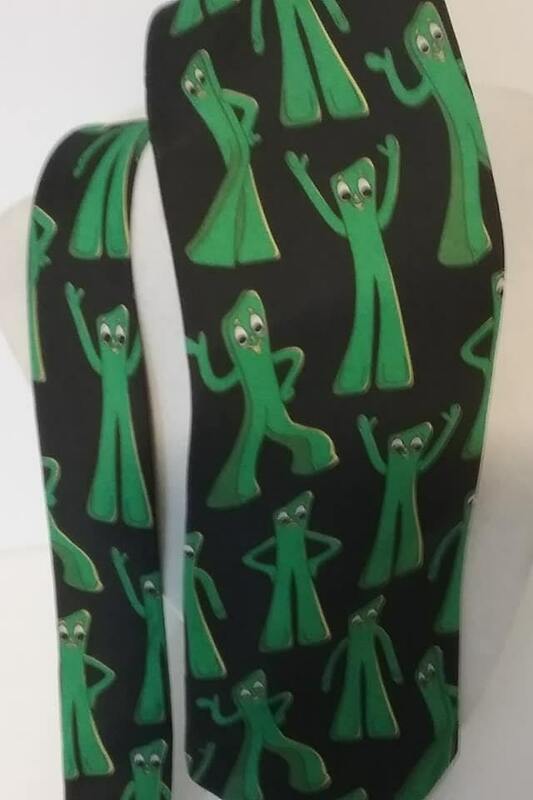 Flash back to the past....tie one on!